Biomedical compounds, namely, peptide substrates used in analyzing and detecting certain toxins for clinical and medical laboratory use; yeast and microalgae based dietary and nutritional supplements; yeast and microalgae based dietary supplements; yeast and microalgae based dietary supplements for animals; yeast and microalgae based dietary supplements for human consumption; micro-nutrient animal feed; nutraceuticals namely functional foods derived from yeast and microalgae, for the treatment of human and animal medical conditions, namely, heavy metal deficiencies, stress related conditions, skin disorders and mycoses, dietary disorder and malfunction, bacterial infections of the buccal cavity and dental plaque; nutraceuticals in powder form derived from yeast and aquatic plants and natural sources for use as a dietary supplement; nutritive substances for micro-organisms for medical use; synthetic peptides for pharmaceutical purposes; testing kits containing peptide substrates used in analyzing and detecting certain toxins for clinical and medical laboratory use; vaccines, namely aquaculture vaccines; yeast and yeast extracts for medical, veterinary and pharmaceutical purposes. 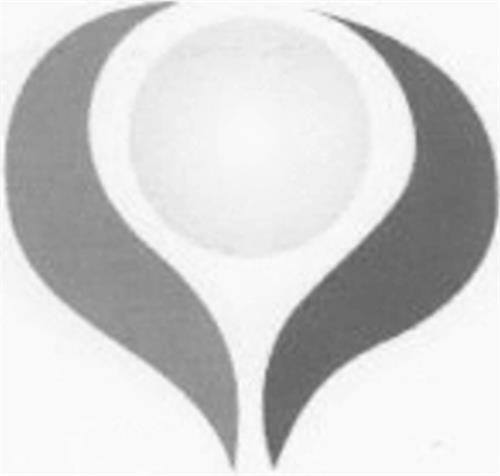 On Wednesday, November 12, 2008, a canadian trademark registration was filed for the above pictured logo by Functional Technologies Corpor 570 - 1285 West Pender Street, Vancouver, BRITISH COLUMBIA, CANADA V6E4B1. The Canadian IP office has given the trademark application number of 1418088. The current status of this trademark filing is Registration published. The correspondent listed for is MARIE CAPEWELL of (M. CAPEWELL & ASSOCIATES INC.), Suite 303 - 1224 HAMILTON STREET, VANCOUVER, BRITISH COLUMBIA, CANADA V6B2S8 The trademark is filed in the description of Biomedical compounds, namely, peptide substrates used in analyzing and detecting certain toxins for clinical and medical laboratory use; yeast and microalgae based dietary and nutritional supplements; yeast and microalgae based dietary supplements; yeast and microalgae based dietary supplements for animals; yeast and microalgae based dietary supplements for human consumption; micro-nutrient animal feed; nutraceuticals namely functional foods derived from yeast and microalgae, for the treatment of human and animal medical conditions, namely, heavy metal deficiencies, stress related conditions, skin disorders and mycoses, dietary disorder and malfunction, bacterial infections of the buccal cavity and dental plaque; nutraceuticals in powder form derived from yeast and aquatic plants and natural sources for use as a dietary supplement; nutritive substances for micro-organisms for medical use; synthetic peptides for pharmaceutical purposes; testing kits containing peptide substrates used in analyzing and detecting certain toxins for clinical and medical laboratory use; vaccines, namely aquaculture vaccines; yeast and yeast extracts for medical, veterinary and pharmaceutical purposes. .
(1) - Biomedical compounds, namely, peptide substrates used in analyzing and detecting certain toxins for clinical and medical laboratory use; yeast and microalgae based dietary and nutritional supplements; yeast and microalgae based dietary supplements; yeast and microalgae based dietary supplements for animals; yeast and microalgae based dietary supplements for human consumption; micro-nutrient animal feed; nutraceuticals namely functional foods derived from yeast and microalgae, for the treatment of human and animal medical conditions, namely, heavy metal deficiencies, stress related conditions, skin disorders and mycoses, dietary disorder and malfunction, bacterial infections of the buccal cavity and dental plaque; nutraceuticals in powder form derived from yeast and aquatic plants and natural sources for use as a dietary supplement; nutritive substances for micro-organisms for medical use; synthetic peptides for pharmaceutical purposes; testing kits containing peptide substrates used in analyzing and detecting certain toxins for clinical and medical laboratory use; vaccines, namely aquaculture vaccines; yeast and yeast extracts for medical, veterinary and pharmaceutical purposes.